Google is still working on their mobile search index, something Google first confirmed last year, although we haven’t heard much about it for a year or so. The mobile index would be completely separate from the desktop index and would be for searches done on mobile only. People don’t link to mobile content as much as they do to desktop content. Google found there are fewer linking rank signals on mobile pages when compared to the desktop equivalent. So this results in pages ranking differently when compared to the desktop index. 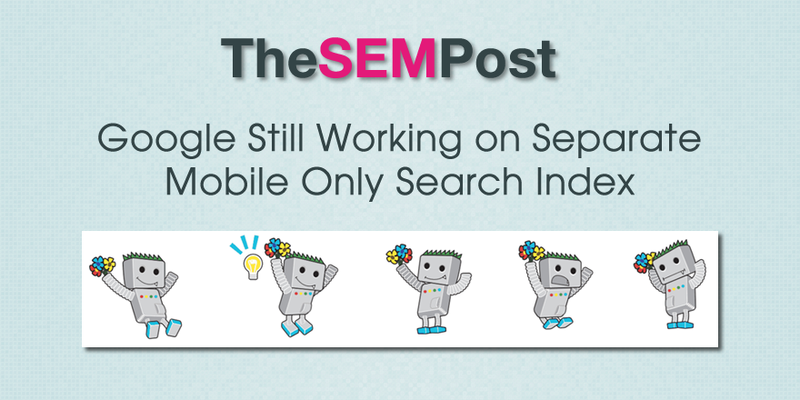 This was one of the main problems Google found last year while working on the mobile index. Mobile specific pages are often shorter or truncated when compared to the desktop version. This is pretty common, especially for m. mobile sites where there are two pages (canonicalized) for the same article, just one is not quite as comprehensive as the other. But according to Illyes, the content changes is also impacting rankings as well. that said, it is sometimes frustrating from a user perspective when you land on a truncated mobile page that doesn’t actually have the information you are looking for, because it is only on the desktop version. Yes, I also noticed the same, My website keywords are stable on desktop but keyword position dropped on Mobile devices.